NRGFUEL 100% BCAA & Glutamine powder has been scientifically formulated to promote full muscle recovery, growth and repair whilst preventing muscle breakdown. Consisting of our instantized BCAA (2:1:1 RATIO) and absolute pure glutamine NRGFUEL’S BCAA and Glutamine powder will keep you in a positive state of growth and recovery. If you train hard, you need to recover hard. 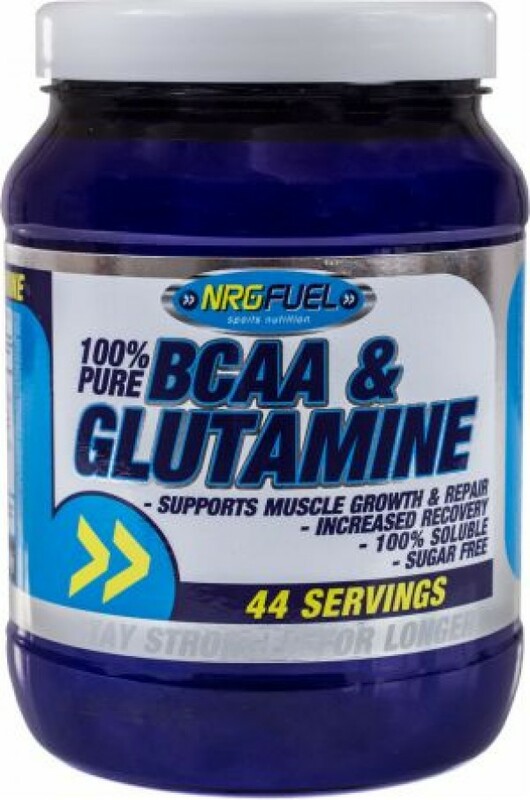 NRGFUEL 100% Pure BCAA & Glutamine comes in a 500g tub and contains 44 servings.